The Directorate General of Customs and Excise of the Ministry of Finance will tighten import activities on online shopping sites (e-commerce) starting October 10, 2018. Later, the limit on the exemption of import duties and import taxes from the US $ 100 to the US $ 75 per person cumulatively per day. Head of Customs and Excise Sub-directorate General (Kasubdit), Deni Surjantoro said, the policy was to support the growth of domestic industries. Because all this time customs has often found rogue e-commerce players who outsmart the delivery of goods by splitting. The mode, said Deni, was carried out by breaking import activities and making repeated transactions until the import duty was below the regulatory limit. The study conducted by the Directorate General of Customs and Excise of the Ministry of Finance even found e-commerce traders doing 400 times the import in one day with an average per invoice worth 75 USD. "We anticipate this mode," said Deni, on Tuesday (09/18/2018). According to Deni, e-commerce trading is growing rapidly and reaching import value of 448.4 million US dollars with an average monthly e-commerce import transaction reaching 7.54 percent. If trade practices are reasonable, Deni said, the number of import documents will only be around 4-5 million. But strangely, this year the Directorate of Customs and Excise has issued 13.8 million import permit documents. "The number of imported goods is also disturbing retailers in the country," Deni explained. This import tightening policy for e-commerce, said Deni, is also the government's next step in controlling imports. Because in August, the trade balance deficit has reached 4 billion US dollars. While the current account deficit in the first half reached the US $ 15 billion. Chairman of the Indonesian E-Commerce Association (IDEA), Ignatius Untung said that domestic e-commerce businesses do not reject the discourse on import control of these goods. The expensive import of goods will not have a significant effect on the development of e-commerce in Indonesia. Because, he said, e-commerce players who take goods from abroad are still very few. "Those with features are companies that have branches, whether those investors in other countries are mostly from Korea and China," he said. Instead, he appreciated the government's steps to control imports via e-commerce, especially for foreign importers. "We cannot talk to foreign e-commerce or follow this policy," said Untung. 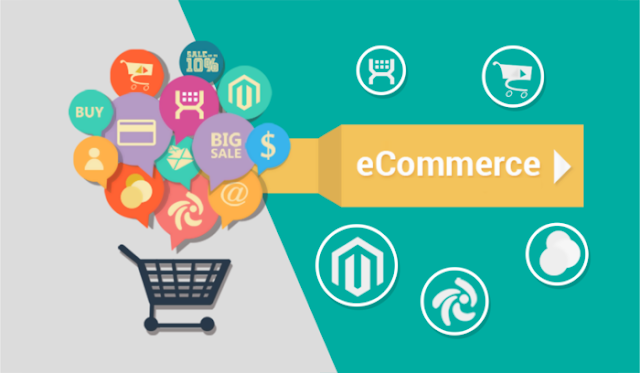 For example, e-commerce questions that provide free shipping services. "If he has shipping costs, usually he does not want to do splitting, now this is often free, free. "We have not purchased outside of the tax, so we who have e-commerce in the country do not have a buyer, close it later," he said. The same thing was revealed by Blibli.com Chief Executive Officer (CEO), Kusumo Martanto. He said that the new rules had no negative effect on his side. The reason, because the portion of imports in Blibli products is only about 1 percent. "We don't have a problem because all this time, the portion of the items we sell, the majority we are sourced from Indonesia," Kusumo said. In contrast to Afdi, one of the e-commerce consumers who objected to the customs tightening policy carried out by the government. Because he said, it would burden MSME retailers who used to buy imported goods at prices below 100 dollars. "It's a bit troublesome, too. For example, you want to find items that don't exist in Indonesia, but the number is a little abroad. The price is cheap, it must be taxed too, isn't it, "said Afdi. Afdi said, for example, for automotive entrepreneurs who used to buy goods from abroad with a number of units. "There may also be other electronic items that do not necessarily exist in Indonesia," he said.